Blicavs was a dominant player at club level in Victoria and showcased her supreme athleticism to become an outstanding rebounder while a classic jump-shot ensured she was consistently her team’s most damaging offensive player. 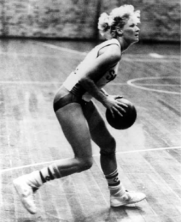 Basketball only became an Olympic sport for the women in 1976 but just four years later, Blicavs represented her country at the 1980 World Olympic Qualifying tournament in Bulgaria where she averaged seven points across two games. The Australian basketball landscape changed forever in 1981 with the introduction of the WNBL and Blicavs played a major role in the League’s debut as she suited up for the St. Kilda Saints. St Kilda was the competition’s inaugural winners, finishing the regular season with an 11-2 record before defeating North Adelaide in the Grand Final, 77-58. The following season, St. Kilda defended their Championship with another title after beating Bankstown by six points in the Grand Final. 1982 also saw the introduction of the WNBL MVP award and Blicavs created more history as she claimed that honour while also taking out the Top Shooter award with 24.1 points per game which remains the ninth best effort of any player over a WNBL season. In their quest for a third straight Championship, the Saints finished the regular season in 1983 with a 14-3 record but their run came to an end as the Nunawading Spectres defeated them 70-46 in the final. However, Blicavs was just as impressive throughout the year as she shared MVP honours with Robyn Maher to also become the WNBL’s first dual-MVP winner. Across a 130-game career, Blicavs played ten finals and finished with an average of 16.5 points while shooting at 48% overall and scoring 2,151 total points. Her highest score of 42 points came in July, 1982 and that performance remains the eighth highest individual score by a WNBL player. On the back of her performance in 1980 for Australia, Blicavs again represented the Opals at the 1983 World Championships where she finished as the team’s fifth best scorer with 8.8 points per contest including two 18-point games against Peru and Congo. 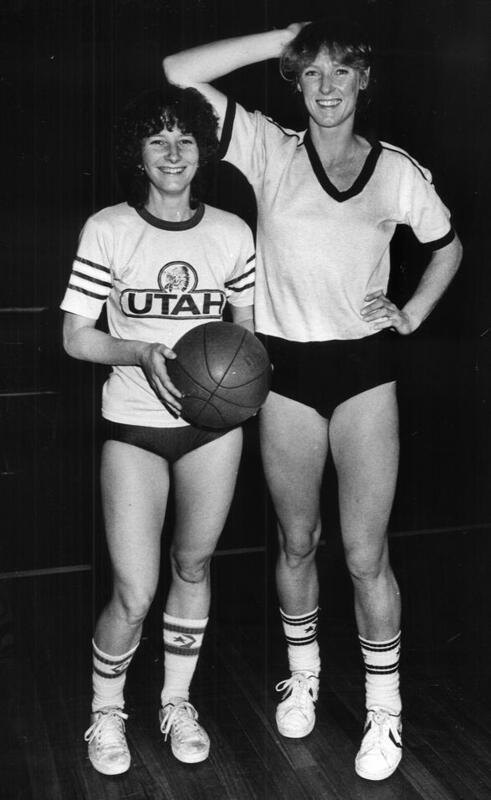 During a period in which there were limited opportunities for women’s basketball at national or international level, Blicavs grasped any chance that was offered and in doing so, paved the way for future generations. With Karen’s daughter, Sara, now following in her footsteps as a WNBL and Opals star, Blicavs’ legacy and influence on Australian basketball continues to grow. Blicavs will be inducted alongside four other icons into the Australian Basketball Hall of Fame on October 27. The Gaze Family, Maher, Family, Sandy Blythe and Sue Hobbs medals will also be awarded to the most outstanding members of the Australian Boomers, Opals, Rollers and Gliders respectively.